I found this daisy—the first I've seen this year—on King Street today. To my eyes, the geometry of its center is far more beautiful than its petals. Behind those interlocking spirals lies a mathematical mystery. 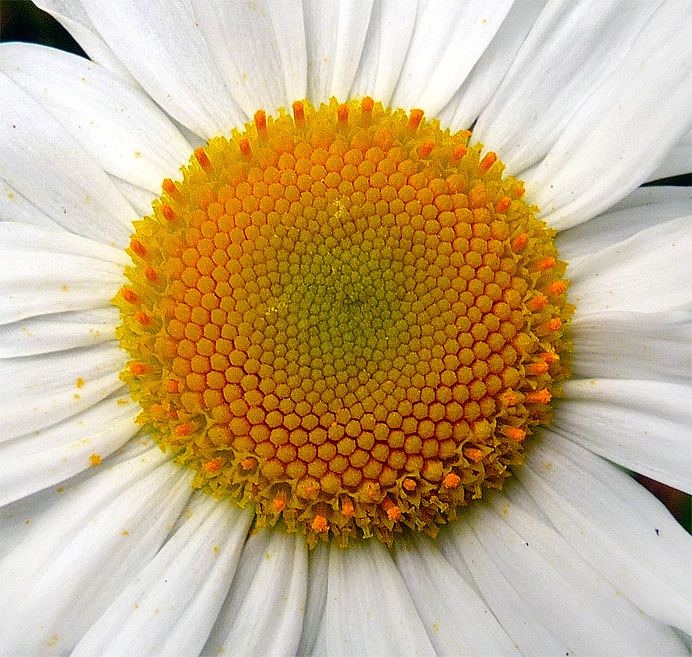 Somewhere, at the tiniest level, the daisy has directed the folding of exotic molecules in a way that inevitably produces the same pattern we see in a sunflower, a pineapple, or a spruce cone. We may marvel at the results, but the truth lies deep within the plant's ancestral genes. You don't really know nature until you crawl into a microscope. .